Hearing Loss, What Is It? Many people suffer from hearing loss…and we’re not just talking about the people whose hearing is diminished. Hearing loss affects friends, family, co-workers, business associates, and everyone a person with a hearing problem comes into contact with. The latest available statistics show that over 10% of the U.S. population reports difficulty hearing! That’s more than 31 million people! And as the Baby Boomer generation continues to age, that number promises to increase dramatically! 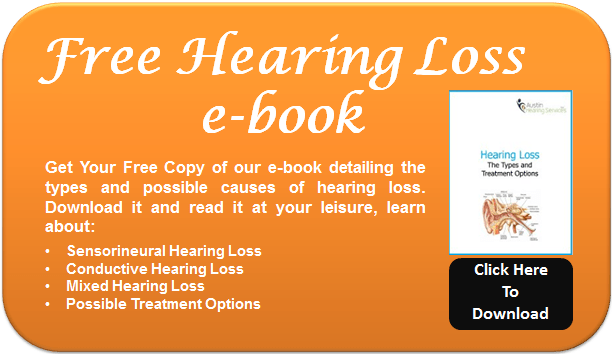 We have made a hearing loss e-book free to download, so if you want some information about the types causes and treatments of the different types of hearing loss, please download it and read it at your leisure. Having a hearing loss or hearing impairment means that your ability to hear has been diminished. There are many causes of hearing loss but it’s believed the most common cause is the ageing process. The name given for age related hearing loss, or acquired hearing loss is presbyacusis. Presbyacusis is a subset of what is known as Sensorineural hearing loss. What is most commonly called Nerve Deafness. Sensorineural hearing loss occurs when the tiny hair cells in your cochlea (inner ear) that help pass sound information to the brain are injured, diseased, do not work correctly, or have died. Those hair cells are in fact nerve endings that are responsible for sending electrical stimulation to the brain. This type of hearing loss can’t be reversed at this time although there are hopes that in the future there may be treatment. Regular exposure to loud noise which is called noise induced hearing loss. Noise exposure accelerates the natural deterioration of our hearing. Noise can do terrible and permanent damage. Hearing loss affects around 10% of the population. In America it means there are around 31,000,000 people with a hearing problem or hearing impairment. unfortunately, only a small number of those who need a hearing aid system actually use one, many who don’t are putting themselves at many disadvantages and greatly reducing their quality of life. Untreated hearing loss has a great affect on life and relationships causing isolation and depression. There is a solution for almost everyone with a hearing loss, so if you think you have a problem get a hearing test and look at solutions. Nobody should suffer with this. Tinnitus can’t be cured, but it can be treated. At Austin Hearing We understand the difficulties that Tinnitus can We know that Tinnitus Therapy can help you overcome them. Improving your hearing, will change your world. At Austin Hearing we understand the difficulties that you face daily, we understand the impact that hearing loss can have on your life. We only use the best hearing aids so we know that we have a solution for you. Take The First Step To Getting Your Life Back. We offer individual and personal service in a warm and friendly environment. If you are worried about your hearing, suffer with Tinnitus, or are an experienced hearing aid user looking for a premium experience. Come and see us. Dr. Margaret Hutchinson has been providing my hearing aid service since 2007. She is very kind and caring and patiently listens to my concerns. She made sure I understood what each type of aid provided to determine the most suitable aid for my hearing loss with a look toward future adjustments as well.